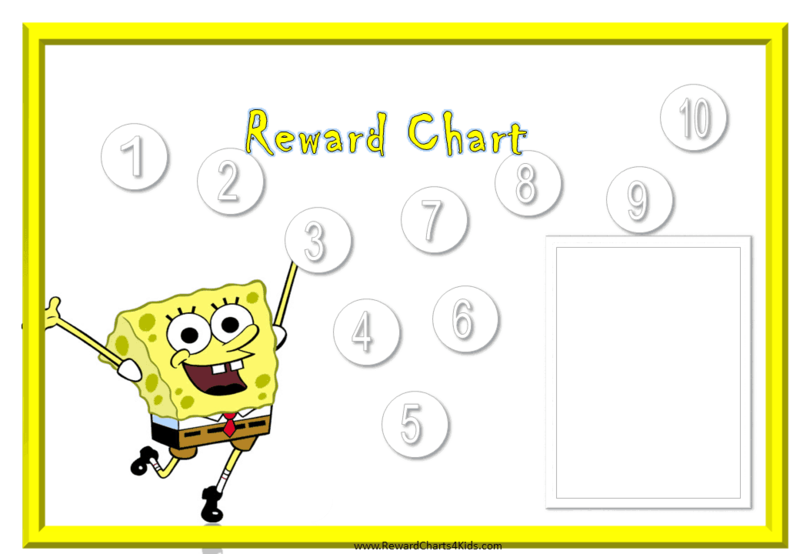 Free printable SpongeBob Reward Charts for children. Stick gold star stickers on each day of the week if your child behaves well. This is a daily reward chart template. It has place to insert a photo of your child. You can also let your child add his or her drawing in the frame. This is a 10 step reward chart. Mark each step with a sticker or marker. 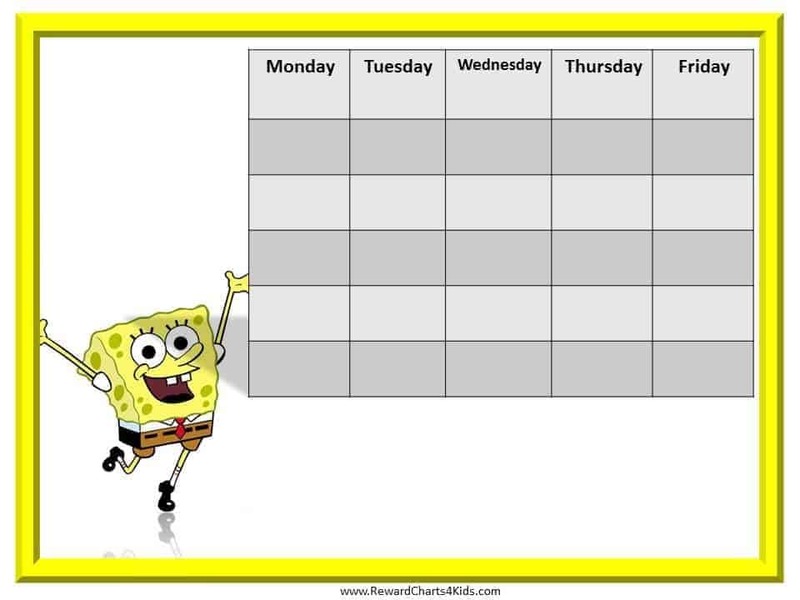 This downloadable reward chart features SpongeBob. It is a weekly chart and tracks behavior over a one week period. This is a blank incentive chart printable. 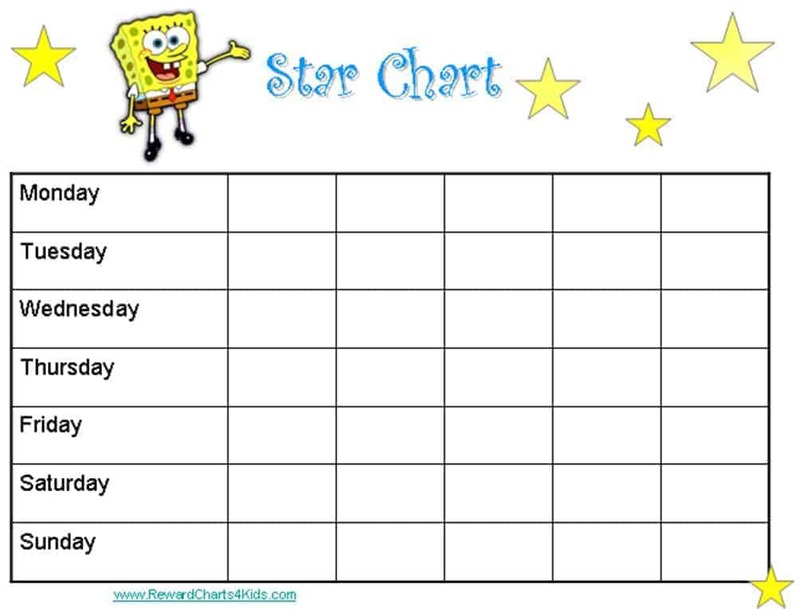 Use it for any purpose: homework chart, incentive chart, sticker chart, etc. This is a free printable behavior chart. This is a behaviour chart. This is a free printable chore chart. There is a line on the top to add your chore list. This is a potty training chart with a list of milestones. Mark each milestone on the chart once it is completed.